Feb. 25, 2019 Brendan McLoughlin, Ben James, and Jon Falcone South Burnaby By-Election squeaker or landslide for the NDP? Mueller coming out early this week. Sen. David Tkachuk making comments to Alberta Oil Fields protesters to "roll over every liberal left in the country." Feb. 18, 2019 Brendan McLoughlin and Benjamin James Happy Family Day in Ontario! Jon is away this week. Feb. 11, 2019 Brendan McLoughlin, Ben James, and Jon Falcone Our Prayer's are with the Dewar Family at the time of Paul Dewar's recent passing. Dec. 24, 2018 Brendan McLoughlin, Ben James, and Jonathan Falcone Merry Christmas! Dec. 17, 2018 Brendan McLoughlin and Ben James One week out from Christmas! Dec. 10, 2018 Brendan McLoughlin, Ben James and Jonathan Falcone Holiday moral outrage, Kevin Hart's twitter problem. Nov. 19, 2018 Brendan McLoughlin, Ben James, Jonathan Falcone W/​ Special Guest, Bruce Firestone longtime Ottawa Resident and Entrepreneur. Nov. 12, 2018 Brendan McLoughlin and John Falcone With Special Guest: Barry McLoughlin, Media and Communications consultant. Oct. 22, 2018 Brendan McLoughlin and Ben James Funding drive! Oct. 1, 2018 Brendan McLoughlin, Ben James, and Borya Fishman Interview with Sofia Herczegh, USMCA set to replace NAFTA, Discussion with Borya Fishman on what this new deal means for Canada. Sep. 10, 2018 Brendan McLoughlin, Ben James, and Jon Falcone Rob Ford's Bill 5 shot down over charter dispute, NYC op-ed "I am a part of the resistance." discussion. Sep. 3, 2018 Ben James and Jon Falcone Ben and Jon tackle Mad Max Bernier, Trump and Trade, and gun bans on today's Labour Day episode of the Filibuster. Aug. 27, 2018 Brendan McLoughlin and Jonathan Falcone Good Monday morning! Jul. 30, 2018 Brendan McLoughlin, Ben James, and Borya Fishman Doug Ford is on our radar today, lots of stories involving him, quick talk about the handgun ban being proposed after the Danforth-Toronto shooting. Jul. 23, 2018 Brendan McLoughlin, Ben James, Jon Falcone, and Borya Fishman Our panel of experts answer tough questions that Canadians are asking today. Give us your thoughts in our interactive chat! Jul. 16, 2018 Brendan McLoughlin, Ben James, and Jon Falcone Start your day off the right way with stimulating political discussion! Jul. 9, 2018 Brendan McLoughlin, Ben James, and Jon Falcone Chat with us on our interactive chat! Stay cool Ottawa the heat is still on! Jul. 2, 2018 Brendan McLoughlin Post-Canada Day hangout! Jun. 25, 2018 Ben James and Jon Falcone Ben and Jon open with an historic Cannabis Corner, drift into Ford speculation and Trump analysis, and round out with a discussion of Jordan Peterson's SLAPP suit against Laurier. Jun. 18, 2018 Brendan McLoughlin, Borya FIshman and John Falcone Intellectual Darlings, International trade, more to come as the stories progress! Jun. 4, 2018 Brendan McLoughlin and John Falcone with Barry McLoughlin! May. 28, 2018 Brendan McLoughlin and Jonathan Falcone Kneeling for the anthem, disrespectful or peaceful protest? Ontario Elections talk, what ridings to watch. Apr. 30, 2018 Brendan McLoughlin and Ben James Cannabis corner update post 4/​20. "Velvet Revolution", in Armenia. "Incels" what are they? Apr. 16, 2018 Brendan McLoughlin and Ben James many topics today! Mar. 19, 2018 Brendan McLoughlin and Ben James With guest John Falcone. Mar. 5, 2018 Brendan McLoughlin and Ben James Strike day at carleton! Jan. 29, 2018 Brendan McLoughlin and Ben James Interview with Barry McLoughlin; Ben and Brendan discuss disgraced former Ontario PC leader Patrick Brown and the future of the Ontario PC's starting another election season on the back foot. Jan. 22, 2018 Brendan McLoughlin and Ben James One year since Trump's Inauguration: Is America Better off? Is America Great again? Jan. 15, 2018 Brendan McLoughlin and Ben James Accidental warning alert in Hawaii leads to mass panic on Island state. Discussing the fallout of this phenomenon, stay tuned for an update on the investigation. Dec. 25, 2017 Brendan McLoughlin Christmas music! Nov. 27, 2017 Brendan McLoughlin and Ben James Special Guest: Our #1 Fan Ian James! Nov. 13, 2017 Brendan McLoughlin and Ben James Grey Cup 2017, Renaming the Edmonton Eskimos, Tracking Cannabis Legislation in Canada, Wilfred Laurier Grad Student chastised for sharing Jordan Peterson debate video, Trudeau weighs in on Quebec's face veil law. Oct. 9, 2017 Brendan McLoughlin and Ben James Happy Thanksgiving! Sep. 25, 2017 Brendan McLoughlin and Ben James Interview with Patrick Wright, Executive Director for the Canadian Centre for Men and Families. Aug. 28, 2017 Ben James and Brendan McLoughlin Talking about revisionist history, tearing down monuments, changing names, moral relativism. with guests Caroline McLoughlin and a special appearance by Michael O'Keefe. 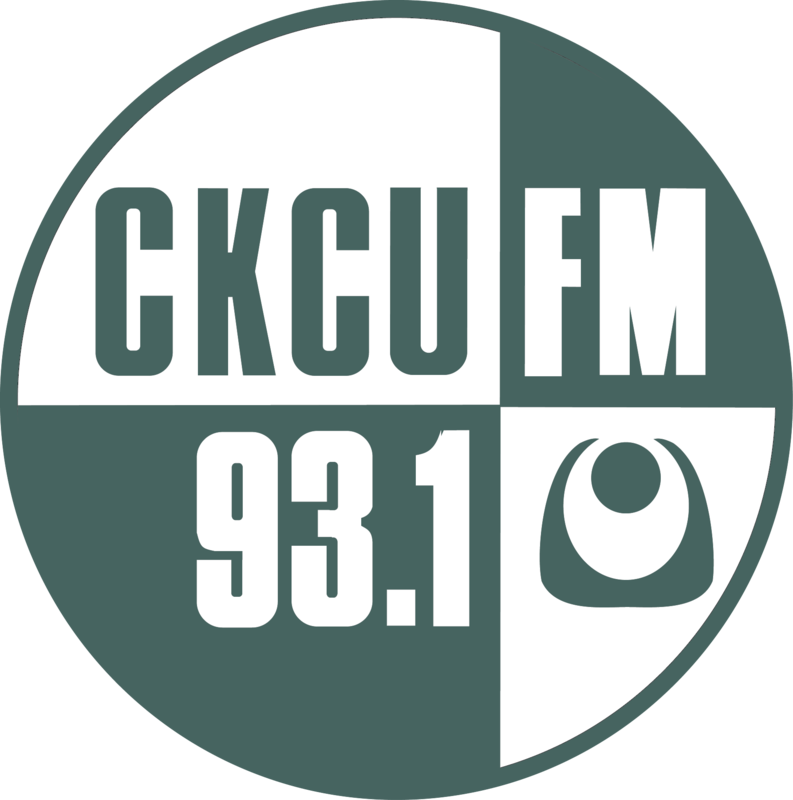 Host Of Movie Monday's on CKCU. Aug. 21, 2017 Brendan McLoughlin Why tearing down Civil War monuments is not a good idea. Talking with Daniel Flora. American War historian and genealogist. discussing how these monuments have become a polarizing Political topic in America today. Jul. 31, 2017 Brendan McLoughlin and Ben James updating issues happening in North America, Canadian and Ottawa issues ranging from Pipeline veto power for Indigenous peoples, new Salvation Army centre in Vanier proposal, issues in the Korean Peninsula. Jul. 17, 2017 Brendan McLoughlin and Ben James Missing and Murdered Women and Girls commission facing trouble after several commissioners vacate their positions, reports of division and infighting. Jul. 10, 2017 Brendan McLoughlin Omar Khadr's lawsuit, BC NDP-green Parliament's future. Jun. 19, 2017 Brendan McLoughlin and Ben James joining us in studio with Borya Fishman, Congrats on graduating! Jun. 12, 2017 Brendan McLoughlin and Ben James Quebec Constitution, Richmond BC bilingual signage, Sons of Odin in Hamilton cleaning up parks, ANTIFA. May. 22, 2017 Brendan McLoughlin and Ben James Political analysis with Barry McLoughlin Sr. partner, Transform Leaders Ltd.
May. 1, 2017 Brendan McLoughlin and Ben James Legalization of marijuana, criminal Justice aspects, affects on tourism, how it will be policed and controlled. Apr. 17, 2017 Brendan McLoughlin Ambassador of Armenia to Canada Armen Yeganian comes to talk politics and we get an understanding of what the life of a diplomat is like. Feb. 6, 2017 Brendan McLoughlin and Ben James Interview with Mona Fortier, Liberal Candidate for the Ottawa-Vanier Federal By-Election, some federal Politics talk, praIse and criticisms of the Prime Minister's Office. Jan. 30, 2017 Brendan McLoughlin Difficult day in the news! Heads up people! Stay strong! Jan. 16, 2017 Brendan McLoughlin guest host Serge Iskedjian is in the studio, call in from Caroline McLoughlin, a Carleton history student giving us more historical context to political leaders in Politics today. Dec. 26, 2016 Brendan McLoughlin and Ben James Boxing day countdown of the top news stories of the year! Dec. 12, 2016 Brendan McLoughlin and Ben James join us for the latest discussions with our friends and you the listener! Dec. 5, 2016 Brendan McLoughlin and Ben James Memorial message for a deceased friend, a farewell send off to a friend moving to another city. DAPL victory talk. Nov. 28, 2016 Ben James and Brendan McLoughlin The Filibuster hosts talk Trudeau's eulogy to Cuban dictator Fidel Castro and end with a riff on the dangers of homeopathic "medicine." Nov. 21, 2016 Brendan McLoughlin and Ben James Discussion on gendered pronouns, free speech on campuses. Nov. 14, 2016 Ben James and Brendan McLoughlin Interview with candidate Nathalie Des Rosiers and a review of last week's big political stories. Nov. 7, 2016 Brendan McLoughlin and Ben James FUNding Drive is over but you can still donate here on CKCUfm.com! some elections talk today in preparation for tomorrows election in the USA! we wish our neighbors down south best of luck! Oct. 10, 2016 Brendan McLoughlin and Ben James Post-Debate Analysis with Laura Peck, Political Commentator, Media Consultant, VP McLoughlin Media. Oct. 3, 2016 Brendan McLoughlin and Ben James Post debate. Police bias. polling data, how its collected, how is it empirical? Sep. 26, 2016 Brendan McLoughlin and Ben James with special Presidential Debate preview with Barry McLoughlin President, McLoughlin Media Inc., Political Commentator and Media Consultant. Jun. 20, 2016 Brendan McLoughlin and Ben James Dealing with Death in Canada, Liberal Government's stance on ISIS war crimes and the 'Genocide' label, some sports broadcasting talk. Jun. 13, 2016 Brendan McLoughlin and Ben James joined by Sebastian Plante and Luke Smith co-hosts of the Velvet Studio Pulse Nightclub Tragedy, local LGBTQ community response and comments. Apr. 25, 2016 Brendan McLoughlin Interview with H.E. Armen Yeganian Ambassador of the Republic of Armenia to Canada. Mar. 28, 2016 Brendan McLoughlin, Ben James, and Borya Fishman Free Speech, Canadian Surviellance on missing a Memorial Serivces for missing and murdered indigenous women and children, Halifax Ferry boat naming, Tay.Ai Twitter bot. Bernard Peck Obituary. Feb. 15, 2016 Brendan McLoughlin Music with Alanna Sterling! Jan. 25, 2016 Brendan McLoughlin and Ben James Policxe Carbine debate, revisting the SFuO free yoga class issue, Para Transpo calls in its debts. Jan. 18, 2016 Brendan McLoughlin, Ben James, and Borya Fishman Canada's assisted suicide debate, post-party talk, tech talk. Dec. 25, 2015 Brendan McLoughlin and Laura Peck Christmas Morning music and memories! Sep. 21, 2015 Brendan McLoughlin, Ben James, Ashraf Zahran, and Cameron Scott conservative 'likes' on social media, F35's, electoral reform. Sep. 14, 2015 Brendan McLoughlin, Ben James, Ashraf Zahran, and Borya Fishman domestic issues, rivival of last friday, elections talk.